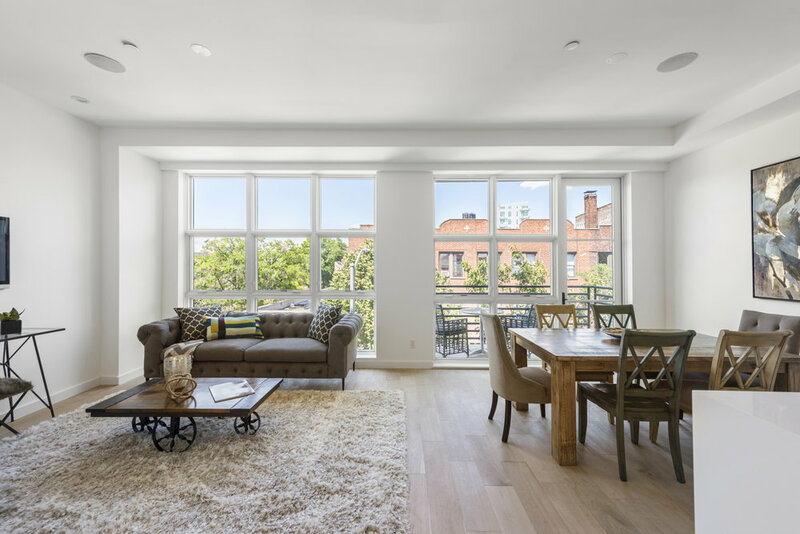 Situated in the heart of Williamsburg, Grand Manor is a brand new boutique condominium brought to life by leading real estate investment and development firm, M Development Group, and celebrated architect and designer, Leyden Lewis. 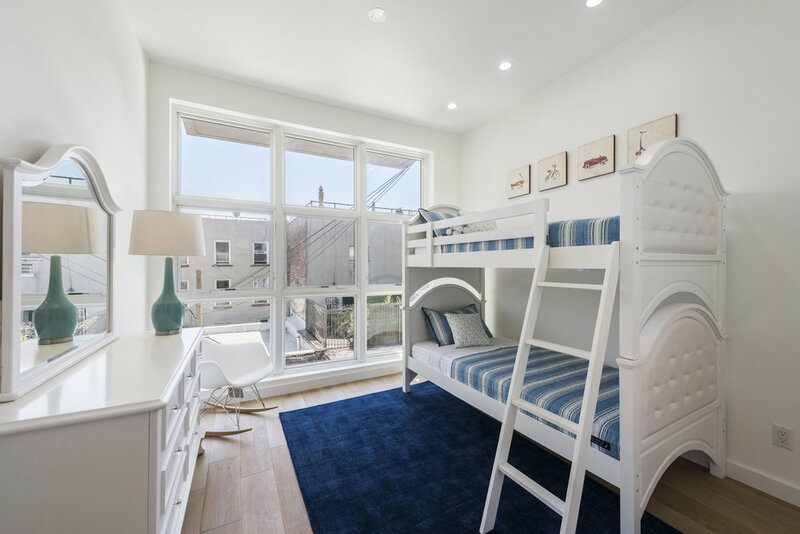 Designed for the contemporary urban lifestyle, each of the building’s 5 units possess open plan layouts, wide-plank white oak flooring, recessed lighting, classic grid Pella windows, central heat and air, an in-home washer/dryer, and private outdoor space. Kitchens are equipped with engineered quartz countertops and backsplash, custom oak cabinetry from 7HAUS, and a suite of high-end appliances from Summit and Bosch. The building lobby is adorned with sleek metal ceramic tiles and a warm accent wall, and is serviced by a convenient virtual doorman system. 404 Grand is surrounded by a number of trendy restaurants, bars, cafes, and shops that include the likes of Barcade, Lighthouse, Don Pancho Villa, and Black Flamingo. 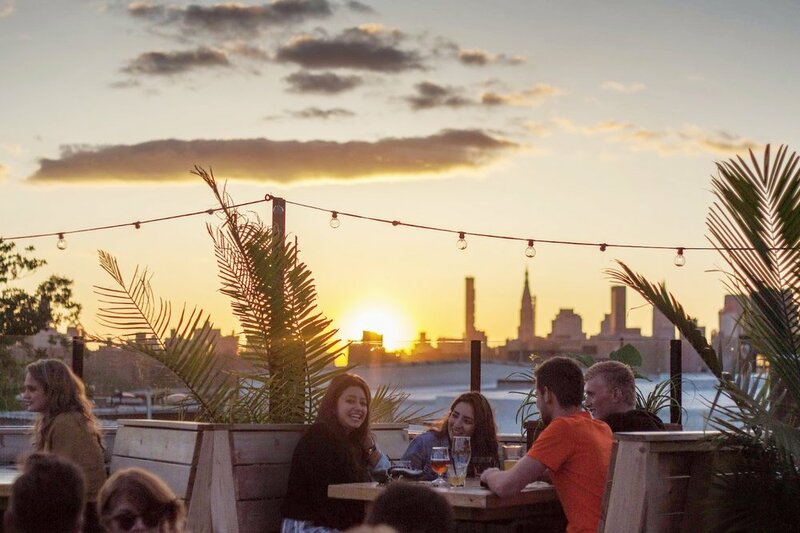 McCarren park just a short walk away, and nearby subway lines include the G and L.
Fed by the ultra-convenient L train into Union Square, Williamsburg—located near Greenpoint, Bushwick, and Bedford-Stuyvesant—is one of the hottest neighborhoods in Brooklyn. It is known both for its dense collection of artists, galleries, cafes, fashion boutiques, restaurants and nightlife as well as an eclectic residential population that blends multi-generational Polish, Italian, German, Puerto Rican, Dominican, and Hasidic enclaves with young trendsetters, hipsters and professionals. It is also known as a thriving hub of indie rock. The history of Williamsburg stretches back to the 17th century, when the Dutch West India Company purchased the land from Native Americans. Though the entire area was initially called Boswijck, the portion that is now Williamsburg was bought by Richard M. Woodhull and renamed, Williamsburgh, after Woodhull’s surveyor, Col. Jonathan Williams. Woodhull would go on to lead the development of the area into a thriving village of its own. The neighborhood evolved over time, at times an industrial shipbuilding hub and at others a financial powerhouse that rivalled Wall Street. Names like Vanderbilt, Pratt, and Pfizer all passed through. After the opening of the Williamsburg Bridge, the neighborhood became the most densely populated in the city. Today, the main strip of Williamsburg is Bedford Avenue a mecca of inventive restaurants, bars and funky shops. Surrounding it are low-rise walk-ups and warehouses that have been transformed into chic homes and entertainment loft dwellings. Popular clubs in the area include The Bog, Rubulad, The Lizard’s Tail, Keep Refrigerated, Mighty Robot, Trash, Flux Factory, Quiet Life, Keep Refrigerated, Todd P., Twisted Ones, and Dot Dash. Commercial venues include Pete’s Candy Store, Music Hall of Williamsburg, Union Pool, Galapagos, and The Brick Theater. Famous Williamsburg landmarks include The Kings County Savings Institution, which is listed in the National Register of Historic Places, The Williamsburg Houses, Brooklyn’s first public housing done on a large scale, and the Domino Sugar Refinery Building, which, though it no longer runs, is considered a landmark of the city and so still stands. Transportation includes the L, J, M, Z, and G subway lines, the Williamsburg Bridge, and bus routes such as B24, B39, B43, B44, B46, B48, B59, B60, B61, and Q54. Renderings are for illustrative purposes only. All measurements are approximate and subject to normal construction variances and tolerances and may vary from floor to floor. Sponsor reserves the right to make changes in accordance with the terms of the offering plan. The complete offering terms are in an offering plan available from Sponsor. File No. CD16-0368 Sponsors: 1404 Grand Villa LLC. Located at 100 Merrick Road, Suite 400E, Rockville Centre, NY 11570.